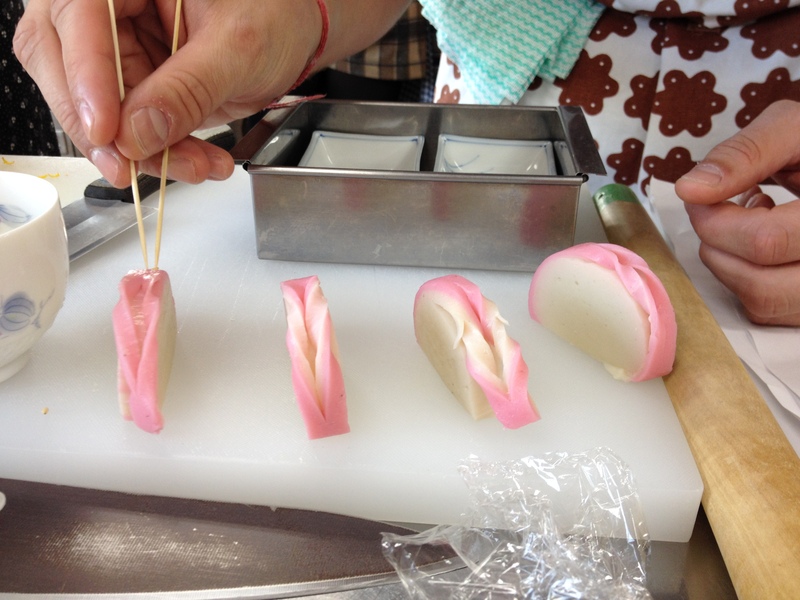 Cut along the border of pink and white color to separate the pink band about 2/3 the way around the kamaboko. Make a cut down the center of the separated section of pink band, but do not cut through the loose end. Pull the loose end through the cut from the inner side of the band. 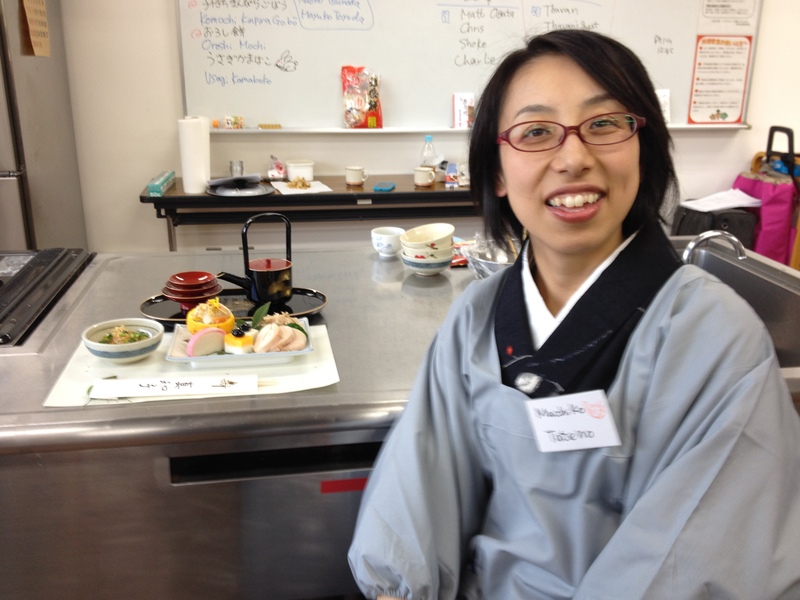 Use the white sesame seeds to create eyes.